Miura Private Equity has acquired a 51% stake of TiendAnimal, a leading Spanish-based specialty retailer of pet care products, through a capital increase. The founders and the management team will continue to lead the project, whilst controlling the rest of the capital. The company, founded in Malaga by Jorge Goldberg and José Antonio Alarcón in 2006, operates in Spain, Portugal and France. TiendAnimal product offering includes pet food, hygiene products and other accessories. The company employs more than 120 people, and it will reach sales of around €30m in 2014. With Miura’s entry, TiendAnimal will strongly bet on expanding its leading online position in Spain and Portugal, as well as accelerating its international expansion to new markets such as France, where it operates since 2013, and Italy, where the company has just launched operations this year. The company will also expand its existing network of stores throughout the Spanish geography, based on the megastore concept (big stores in high traffic commercial areas) for all animal lovers, with spaces that become meeting points for families and pets. The market for pet-related products is characterized by having a long-term growth outlook driven by the increase in the number of pets in the Spanish and European households, as well as the “humanization” of pets, with the consequent increase in the expenditure per pet. Furthermore, the distribution is still very fragmented, with around 40% of the sales made through small “mom and pop” stores, and only 5% of the sales made online. TiendAnimal holds a privileged position to increase its market share, with a well-known brand and a strong positioning, both in the online and megastores channels. The company has also developed agreements with the veterinarian industry in order to give a more complete service to its customers. The entry of Miura Private Equity in the shareholding of TiendAnimal has been exclusively advised by PwC. TiendAnimal was founded in 2006 and has a successful story of growth, reaching sales of €30m in 2014. Apart from selling a wide array of brands in food, hygiene and other items, the company has successfully developed its own brands, which now account for 15% of sales. TiendAnimal is present in Spain, Portugal and France, and employs over 120 people. 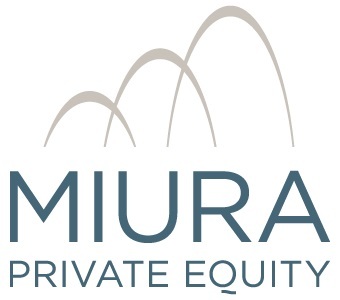 Miura is a private equity firm based in Barcelona. The firm currently manages two funds with total assets under management of €300m, and focuses on investing in small and mid-size companies with attractive growth or consolidation plans and a clear international angle. Since 2008, Miura has invested in 17 companies with a total deal size over €300m.